Bright colours beseech images of exotic places and exciting jungles. They can create an clour explosion, lifting the mood of a room and its inhabitants. 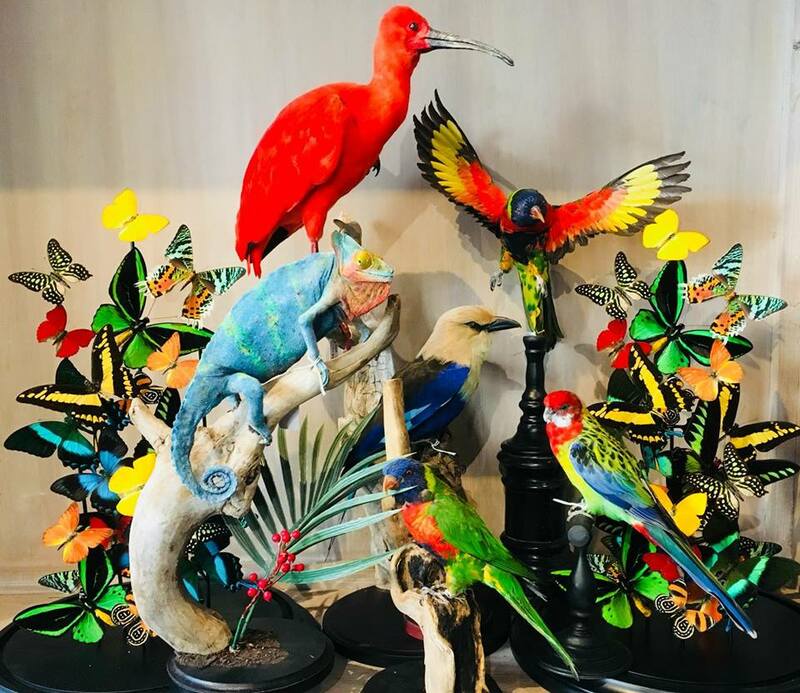 Our taxidermy items can become colourful eye-cathers in your interior! Use the colours of nature to boost you interior.